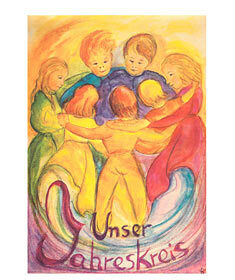 The SIXTINA Verlag GbR in Dresden is publishing art prints, postcards, calendars and books. New photographs of the „Representative of Humanity“ are available, with and without timber frames. Please place the mouse pointer over the thumbnails to obtain a larger view of the picture! New photographs from „The Representative of Humanity“. 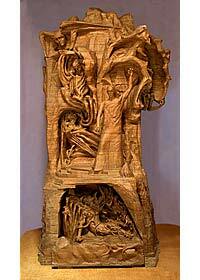 The sculpture was created between 1917 and 1925 in a co-operation between Rudolf Steiner (1861-1925) and Edith Maryon (1872-1924). 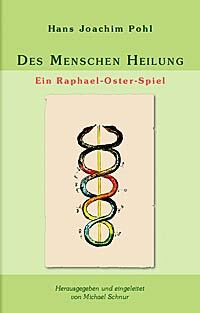 This book deals with the secrets and meanings of the figures 1 - 100 in the different cultures, in mens biography and as a mirror of planetary movements on the sky (German language only). For children of 3 years or older the pictures and verses are suited to let them visually experience the mood and the spirit of the seasons and their sequence in the cycle of the year. Schoolchildren proudly are able to read the little verses on their own one day. (Pictures: multilingual, Text: German language). Sensible water colours show the inner movement and atmosphere of the christian feasts around the course of the year. 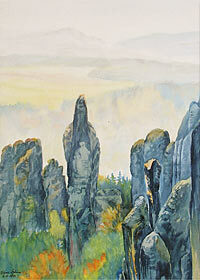 For many years Franz Sykora is hiking around in the lovely area of „Elbe Sandstone Mountains“ near Dresden. Always equiped with paint brush and easle. His water colours capture the unique atmosphere. Pastels by Cristina Mösch de Carvalho (Switzerland) showing rhythmic embrocations after Wegman/ Hauschka. 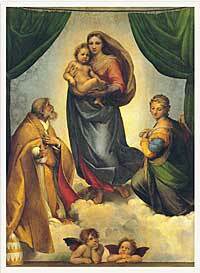 Sistine Madonna by Raphael, postcard with white decorative margins. The most authentic rendering we were able to find, especially where image detail and colours are concerned. High confidence in colours and selected view (full frame). Hand made frames from alder and ash timber to match the different art prints offered here. 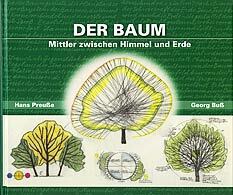 This esteemed book contains the artistic-scientific legacy of Hans Preuße, who makes the reader aware, through numerous and often coloured drawings, of the secret of the phenomenon “Tree„. The tree as individual, the tree as part of the forest, as local vegetation, and of course as part of our green earth. 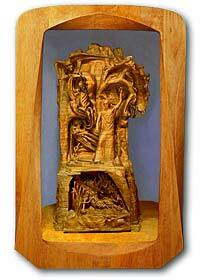 With this book you can now see the wood for the trees again. Dictionary of Hand Surgery. 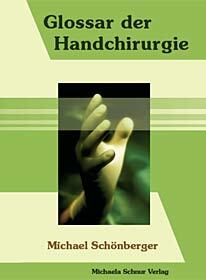 A unique encyclopaedia of terms, classifications and operations of hand surgery (German language only). solides Bilderdruckpapier DIN A 4, beidseitig bedruckt, mit 27 farbigen Abbildungen, gebündelt zu je 100 Blatt. 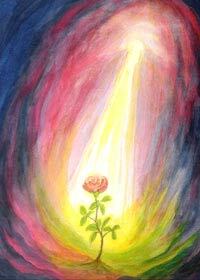 Here you will find links to related topics.